(Man of Faith in the Modern World, p. 84). The Torah does not seek to portray our great men as perfectly ideal figures; it deifies no man. It says of no one: “Here you have the ideal; in this man the Divine assumes human form!” It does not set before us the life of any one person as the model from which we might learn what is good and right, what we must do and what we must refrain from doing. When the Torah wishes to put before us a model to emulate, it does not present a man, who is born of dust. Rather, God presents Himself as the model, saying: “Look upon Me! Emulate Me! Walk in My ways!” We are never to say: “This must be good and right, because so-and-so did it.” The Torah is not an “anthology of good deeds.” It relates events not because they are necessarily worthy of emulation, but because they took place. The Torah does not hide from us the faults, errors, and weaknesses of our great men, and this is precisely what gives its stories credibility. The knowledge given us of their faults and weaknesses does not detract from the stature of our great men; on the contrary, it adds to their stature and makes their life stories even more instructive. Had they been portrayed to us as shining models of perfection, flawless and unblemished, we would have assumed that they had been endowed with a higher nature, not given to us to attain. Had they been portrayed free of passions and inner conflicts, their virtues would have seemed to us as merely the consequence of their loftier nature, not acquired by personal merit, and certainly no model we could ever hope to emulate. This is how the Gemara might tell the story of the Wizard of Oz. This is not to say that the Gemara is a bad story teller but that it is not a story teller in the way we are used to. It is a notebook written in short hand. The rabbi is supposed to tell the full tale. The Gemara just reminds him of the barest elements of the story. Three groups. One enacts, one judges, one wages war. Is there more to the subject? I think there's a little more to say about a political-legal system that came to dominate the planet earth. 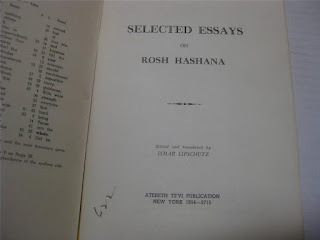 Let us not forget what we often forget that the Oral Torah was not supposed to be written down, so when the danger of losing it all due to exile necessitated redaction, the redaction was kept to a minimum. The Talmud is not a textbook. 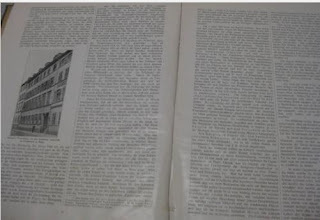 In our era of computer based publishing, it's pretty darn easy to put many words on a page, much easier even than in the movable type era, where is was incomparably easier than in the era of monks writing in long hand, which was easier still than in Mishnaic times where paper was a commodity. We are used to books spelling out every detail of a message. This is not how most Torah commentary was written over the centuries. This means that a shiur cannot consist merely of reading from a text. However, that is exactly what some shiurim have become, particularly regular shiurim. Sometimes, you get the photocopy of sources which the speaker uses to patch together a lesson of some kind. That he reads the sources too quickly without telling you where to find them on the page is a separate problem of our problematic approach to Hebrew instruction. I have discussed that elsewhere. But the regular shiur, the kind we experience most of the time, is oftentimes a reading. 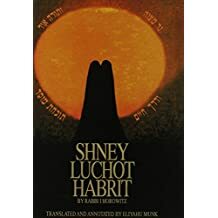 Whether it be Daf HaYomi, Mishnah, Mishneh Berurah, Duties of the Heart, or Tanya, the "maggid shiur" just reads without offering much in the way of background, explanation, or insights. For baal habatim attending an hour a week class, it's survivable, even though not edifying. For children in school it's soul murder. The boredom is crushing. The kids - boys in particular - go 8-5 in a crowded barren classroom listening to a reading of cryptic material. Some rebbes don't explain. It's almost as if doing anything but reading straight text is considered "goyish." when really reading straight from a text without adding anything is goyish. But mostly it's just ignorance. Many rebbes today are not educators. Some are warm people but that doesn't make them interesting, doesn't mean they know how to teach. Teachers have to get into the minds of students. They need technique. Oftentimes, the best teachers were not the best at their subjects. Thus, they developed tricks for acquiring the material. The gifted student is often the worst teacher. A teacher, like anyone in any profession, needs skill. This involves more than warmth and even caring. I think many of the more well meaning people in Jewish education or rabbinics have gone a little bananas with personal warmth, stories, and song. I once spent a Shabbos with a family that does kiruv at an elite university. I was shocked to see this very well meaning nice guy fail to share with the students any Torah at his Shabbos table. His whole angle was warmth, singing, and showing off his children in an attempt to advertise the joys of family life - as if non-frum people cannot have family life. Is he really going to compete with the world of secular entertainment with a few zmiros? What he needed to do was say something meaningful before these very bright and intellectually included college students. Perhaps because Torah Jews, particularly the children, are a captive audience, some schools don't make an effort to be engaging. After all, you have no choice but to attend the school and they can always threaten you with gehennom, that catch all for religious motivation. The focus, particularly in Israel, seems to be more on gaining admission to school, ie the family winning over the school, rather than the school winning over the family or the student. Also, there is an assumption today, an arrogant one, that the yeshiva world conquered Reform, is sitting pretty, and can wow anyone with the magic of Torah. By magic of Torah I don't mean the magic of true Torah thought, but anything connected to Torah. A cold reading of a cryptic text will do. Just open the book and the magic just flies off the page. This is magical thinking and results in part from excessively mystical understandings of the effects of limud Torah. I fear that the contemporary focus on the kabbalistic effects of limud Torah have produced an other worldly approach to it. This combined with our forgetting that the Oral Torah is Oral even when printed in books has resulted in some very poor educational practices, not by everyone obviously, but by too many. Rav Hirsch was born on this day in 1808. I never hold back when I see criticism of German Orthodoxy from any reliable source. From the book the Transformation, criticism of GO for bringing Zionism into the Agudah. 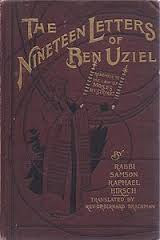 So the book goes on to say that with an imitation of style in place the Agudah took on other Mizrachi attitudes such immigration to the Holy Land not out of sheer desire to live in there but as part of an in-gathering of exiles, an idea promoted by Mizrachi in its package of notions that the modern secular state is part of the redemption. I can testify that I have observed this notion in the words and actions of many yeshivish people. However, one can see from Rav Hirsch's many comments on the subject of the Torah and the land, that land without Torah is pointless and dangerous, that there's no nation without Torah and no redemption with Moshiach or teshuvah. "The term צבא in Scripture does not necessarily, or even primarily, denote an army, or service in an armed "host." In Numbers 4:3, כל בא לצבא לעשות מלאכה באהל מועד ["each one who comes to communal service to do (sacred) work in the Tent of Appointed Meeting"]; ibid., Verse 23 'לצבא צבא לעבוד וגו ["who comes to perform communal service, to minister..."], and also elsewhere in Scripture, it refers to the service performed by the Levites in the Tabernacle. Verses 24 and 14 in Chapter 8, too, prove that צבא denotes any group of individuals united for communal service under the orders of a higher authority, or the service to be performed by such individuals. In the present verse, too, צבא need not necessarily have the connotation of armed service. 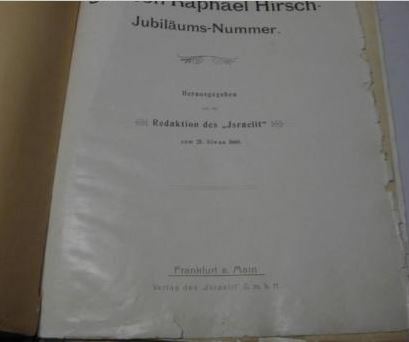 Rather, it would denote anyone under obligation to come forth from his private life and perform communal services whenever this is needed; hence, anyone on whom the community can rely upon to attend to its interests...."
"Adass Jeshurun, Adas Jisroal was originally the breakaway minority of Orthodox congregations in Germany in the mid-19th century. 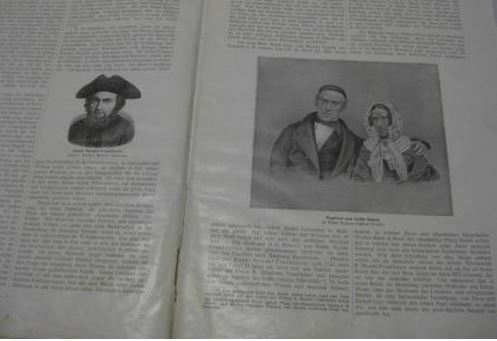 These congregations dissociated themselves on religious grounds from the unitary congregations established by state law in which the majority tended toward Reform Judaism. 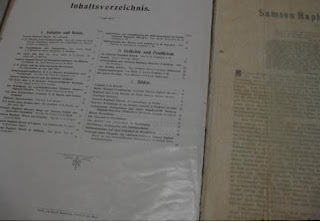 "The main aim of this branch was to safeguard strict adherence to Jewish law. The Hebrew terms Adass (or Adat, Adath) Jeshurun and Adass Jisroel, meaning "congregation of Jeshurun" and "congregation of Israel," were chosen by these congregations to express their conviction that, even if in the minority, they were the "true Israel." The names were cherished for their socioreligious connotations by Orthodox groups in the West where Reform Judaism was widespread. As Mishlei (Proverbs 3:17) tells us about the Torah, “Its ways are ways of pleasantness.” And while the Torah commands us to proactively protect our health through natural means (“Guard yourself exceedingly - Deuteronomy 4:9-10), we recognize that Torah living itself is the best guardian of our physical health. Its observance brings about spiritual and physical pleasantness. What follows here is a very small sampling of Torah teachings that address the correspondence between spiritual and physical health. They serve as a reminder that all of our necessary labors in the way of health and safety are but a histadalus (reasonable effort) and that our welfare resides ultimately in the Almighty’s loving-kindness and our pursuit of spiritual health through Torah living. Our bitachon (trust) in Hashem is a prime guardian of physical health in part due to the peace of mind it gives us. Rav Avigdor Miller z’l spoke often about the toxic effects of worry and stress and the benefits of simple living. He interpreted literally the Mishnah (Avos 1:7) “I have found nothing better for the body than silence.” Silence can refer to the absence of worrisome and neurotic self-talk in our own heads, talk which induces sickness in many a person. Such silence is good for the body, ie. good for preserving health. The best of physicians go to Gehennom. (Kiddushin 82a) Some commentators take this to mean that the best physicians attribute their success purely to their own abilities and fail to connect the true source of healing and medical knowledge to Hashem. This arrogance leads to their spiritual fall. For 30 years I have been talking to the Creator of the universe via a translation of the Siddur and commentary on the Siddur by Rav Hirsch as translated to English by Gertrude Hirschler. 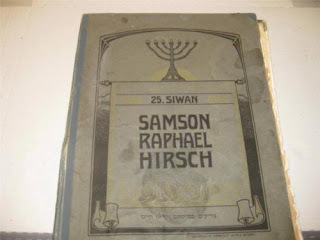 For 30 years I have been studying the Chumash largely through the translation and commentary of Rav Hirsch as translated to English by Gertrude Hirschler. 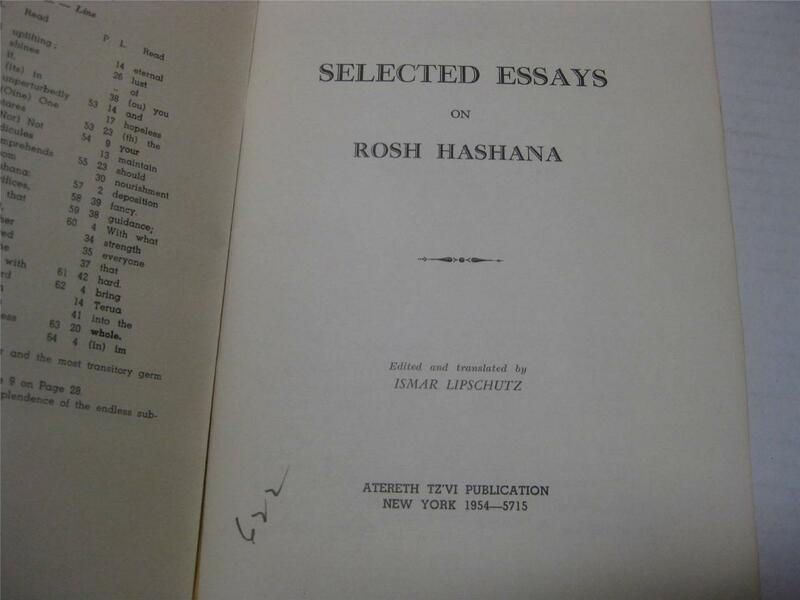 For 30 years I have absorbed the hashkafa of Rav Hirsch as expressed in his articles in the Collected Writings many of which were translated by Gertrude Hirschler. For many years, not quite 30, I have been studying Psalms via the commentary of Rav Hirsch via a translation by Gertrude Hirschler. So that's a pretty important person in my life this Ms. Hirschler. And yet all these years I did not know what she looked like. Search her name on the web. You won't find a picture. That is until now. For thanks a relative of hers I now have a photo of the incredible Gertrude Hirschler and will share it with you. Gertrude Hirschler was born on August 11, 1929 in Vienna, Austria to Bernard Hirschler and Alice Dukes. She was the elder of daughters. Her father was a successful businessman and the family lived comfortably until forced to flee the Nazis in 1939. They landed in Baltimore, Maryland. Hirschler attended Baltimore Hebrew College, the Teachers Training School, and Johns Hopkins University night school from which she graduated with with a B.S. in 1952. 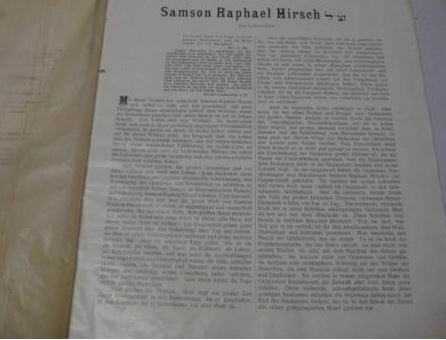 In addition to her translations of Hirsch, Hirschler translated numerous other works such as Rabbi Alexander Z. Friedman’s Wellsprings of Torah. 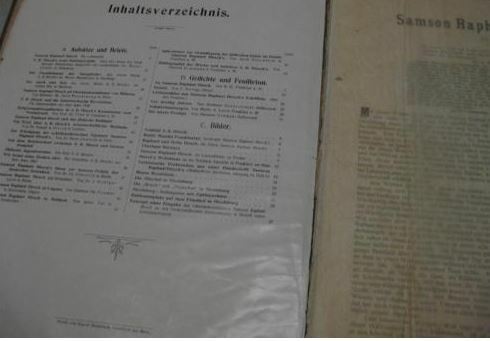 She also penned numerous articles for encyclopedias and edited Ashkenaz: The German Jewish Heritage. 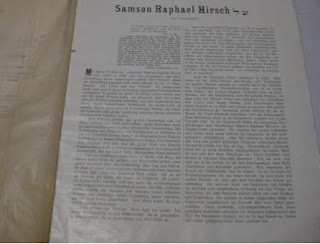 Hirschler, who was Torah observant, passed away in 1994 and is buried in Baltimore. I have never seen this publication before of Hirsch's writings. From Atereth Tz'vi, 1954. On the importance of choosing a field that suits one's nature. This article is so important. Rav Breuer really understood the common man. No wonder he was such a great community leader. Eliyahu Munk was born in Frankfurt and studied at the Realschule, the Yeshiva of R' Joseph Breuer, and at Gateshead. He later moved to Canada where he worked as a teacher and a businessman. He moved to Jerusalem in 1978. 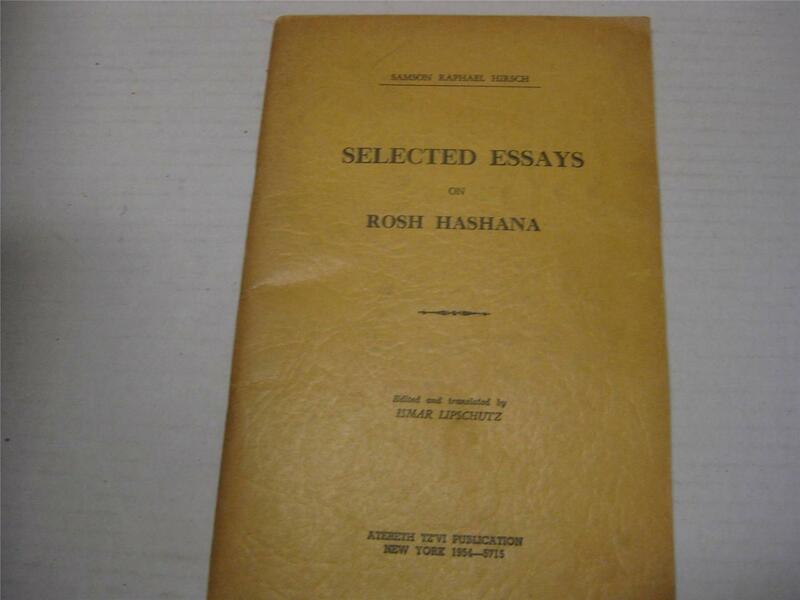 He has translated an impressive number of classic texts including the Akeidas Yitzchok, the Toras Moshe of the Alsich, the Alsich's commentary on Psalms, the Shnei Luchos HaBris, the Or Hachayim, and the Rabbeinyu Bachyha's massive commentary on Chumash.